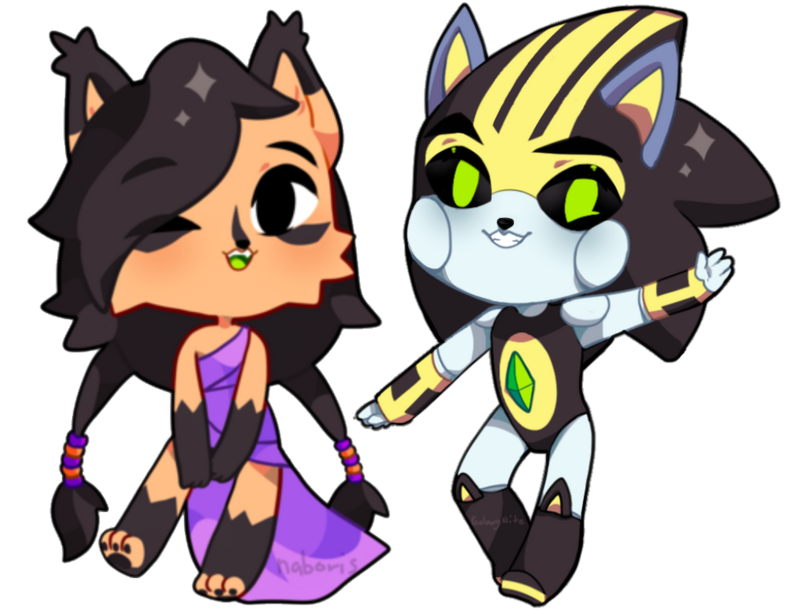 This group revolves around Shard the Metal Sonic and Nicole the Lynx. They really don't as much love as they should, and hopefully this group will change that! Of course the main focus of this group is to support and share ShardxNicole, but that is not our only goal here! Our goal is also to unite fans of Shard and Nicole alike to ensure that they get the love they deserve, both as a couple and as individual characters! The Heart's RebootBefore this if you asked someone what she thought true pain was, she would have answered the many times she thought her friends would die. Or maybe the time the Iron Queen warped her into her worst self. THIS. This was truly raw pain. The kind that get's under your skin and makes your heart clench and your stomach feel painfully empty. That was the pain she felt now. "Are you sure you want to stay? It's no shame if you don't. We understand." She turned to the older hedgehog. His kind green eyes showed the endless patience and kindness he possessed. His white mustache crinkled up in a smile. She shook her head and stayed still. She wasn't going anywhere until it was done and over with. "......Alright. But if you feel uncomfortable, you may leave anytime." She didn't respond so he turned back to the monitor. Typing a few keys into the keyboard, he began the process. "Back tracking remaining data," the high tech screen read out. Morning time in New Mobotropolis, and within the home of Blade Steelhog, where right now, Blade is being pestered by his housemate, Shard the Metal and his myriad of bad pick up lines intended for a certain AI girl he seeks to date. “Like you have anything better.” Shard retorts as he crosses his arms. Inside the D.E.L. Stronghold, Remington and his troops are hurriedly opening the remaining holding cells and preparing to retreat with the prisoners and captured D.E.L. members. As Remington opens a cell in the back, he’s greeted by an unexpected face. “I didn’t expect to find someone like you here.” He says to the unknown entity. Outside, Sonic and company face a terrifying new menace, the Egg Medusa. “You will all pay for the Humiliation you’ve brought me!” Lien-da angerly shouts from inside the mech, firing at the heroes with multiple blasts, forcing them to find cover. On a bench near the Lake of Rings, Sonic and Sally are both relaxing together after another busy day of being on the defense. Robotnik attacked the city again and it took nearly the whole morning and afternoon to stop his assault. They thought things had been finished, but Robotnik sent his newest Metal Sonic model to put more pressure on the metropolitan. 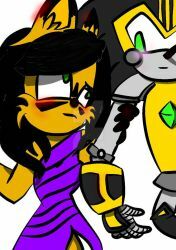 Sally stares at Sonic with curiosity, wondering why he didn’t choose to take on Metal Sonic. The blue hedgehog had his arm around her, with his eyes closed. His face was mellow as well. He wasn’t smiling or frowning, he was just… still. Contest Entry- Love is a Bucket of Bolts"I can't believe it. I can't believe I'm getting married before you... I feel guilty." The lynx started playing with her dress as her best friend helped neaten it up and her other friend worked on her hair. The lynx insisted she wanted to make her look naturally, organically and non-virtual. "Why?" Sally asked giggling. "This is your moment, Nicole. Just because you aren't organic doesn't make you any less of a person. You have as much of a right to happiness as Bunnie and I." Nicole gave her an appreciated smile, though doubt twinkled in her eyes. "Sally's right, Sugah. Don't worry about Sallygirl. Worry about you! Today's your day, Sugah." Bunnie told the worried lynx as she carefully braided her hair and stuck in little decorations. Nicole felt tears come to her eyes. "You guys are wonderful... I just..."
"Hey, hey! Save those tears for him, okay?" Sally said, standing up and wiping Nicole’s tears away. "Thanks, guys, you're the best..."
Check out the awesome artwork that hasn't made its way into our galleries! Be sure to give the artists some love! (CLOSED) Shard x Nicole End of Summer Contest! ****Welp, that's a wrap folks! Time to start judging! Welcome everyone, to the second annual Shard x Nicole summer contest! I know it's off to a late start, but in a way, I almost feel it's better like this. Go out and finish summer off with a bang! This year, we have a bit more of a prominent theme than last year. This year, we want you to Tell Us a Story of Hope! In light of the comics recently ending, and thus, the possibility of never seeing Nicole as we know her again, and Shard being removed post-Reboot, we want you to capture the essence of these two characters and their relationship together using the comic's legacy as a guide. Your piece can be themed however you like and can be summer themed, but the bigger theme we'd like you to think about with your entry is telling a story of hope, to capture what made them - and the comics- special. Please feel free to be creative with your theme! The only limit is your imagination- we want it to mean something to you! 1: The focus of this contest is Shard and Nicole, and thus, this couple must be the primary theme and pairing in everyone’s entry in order to qualify for prizes. 2: You are welcome to draw other characters in the picture, either fan characters or other official characters, but Shard and Nicole should be the main focus! 3: Both visual art and written content are accepted! Written works should be at least 1000 words in order to qualify. Comics are also perfectly acceptable! 4.You can choose any theme you like as long as it relates to overall theme- HOPE- in some way! Have fun with it and feel free to be creative! 5.: Recolored or stolen art is not allowed and will not be eligible for prizes. We also discourage the use of bases- we want to see YOUR hard work! 6: Please keep all entries age-appropriate. Mature, hate, or fetish related artwork will not be eligible for prizes. 7: You ARE welcome to draw as many entries as you would like, but only one will be eligible to win! I've also put together an extensive playlist of music for these two, so if you're someone who is inspired by music, be sure to check here! I'm sure there is something that will catch your interest! Originality: This will be a measure of how your entry compares to other participants. Things such as your style and the perspective on your picture will impact this score. Effort: This will be based on the quality of your image and how much time you evidently spent working on it. Things such as line quality, coloring and shading quality will all impact this score. Theme: This will be a measure of the theme and tone to your picture and how well you portray it with the characters. Technique: This will be based on your usage of lines, colors, shading, and backgrounding all combined into one. - Leave a comment below and include the password "Spark of Life" to signify that you have read the rules. You can also leave a comment after your entry is completed and add a link with your entry attached. -Please use the hashtag #ShardxNicoleSummerContest to tag your entry so that I can keep track of them! -(OPTIONAL) Make a journal entry promoting this contest and leave the link to it below as well! And TADA! You're successfully entered! The words flew from her mouth and throughout every inch of circuitry, a flurry of chaotic statements and unexecutable commands. Her body blazed with energy that only moments earlier had granted her the aid she so desperately needed. Currently, however, it had more than exhausted its usefulness and transformed into something else entirely. Pain was not a concept she could easily comprehend and yet she was almost certain this matched the definition of the word. She cried out in protest as the electricity suddenly surged through her systems, wreaking havoc on valuable code. It was all she could do to keep the programs relatively intact, knowing full well that her friends’ lives depended on their functionality. Every ounce of concentration was spent rapidly salvaging files in the hopes it would be just enough to keep the ship airborne. And then came the glitch. Defect. Anomaly. Please be aware of the rules before submitting artwork to the galleries and participating in our group! Please, be kind! We want everyone to feel welcome here! Please respect one another! We want this group to have a friendly and open atmosphere! If someone disagrees with the pairing this group, or you, support, it's simply important to respect their opinion. Ship wars are silly! We WILL accept artwork of other characters! If you wish to submit work that does not include either Shard or Nicole, it can be placed in the 'other characters' folder! 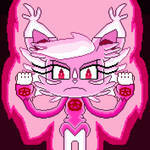 While we accept other character art, and thus other ship art related to other character, other pairings with Shard and Nicole (Shard x Amy, Nicole x Tails, etc) will not be accepted as this is not the group to submit those to. We do not do this to evoke ship wars or disagreements, but to keep the group focused. Platonic friendship art is perfectly acceptable. If artwork is labeled as mature, the admins will review and decide on if it will be admitted. We want this group to be friendly to all ages! We WILL NOT accept stolen work or recolors of work that is not your own. Bases are perfectly fine, though! But please do credit the original base artist! Please do not submit fetish pictures, hate art, or other offensive material. It WILL NOT be admitted. Again, we want this group to be friendly for all! Thank you, and we hope you will join us in our journey to making this couple more well-known! Use these stamps and buttons! Before this if you asked someone what she thought true pain was, she would have answered the many times she thought her friends would die. Or maybe the time the Iron Queen warped her into her worst self. Sorry for the delay folks. Contest is officially closed and I'm in the middle of deciding the winners! Please stay tuned for updates, and thank you so much to everyone who entered! We had a great turnout this year and it was really great to see all the hard work everyone put into their entries. A tough call, as always! Placements will be announced within the next week or so! Hang tight! It's that time again, my friends! The theme this year is Story Telling! As always, the way that this theme is achieved is left entirely to your imagination-- run away with it! Your entry can be serious, funny, cute, or romantic- however you would like to portray the theme is up to you! 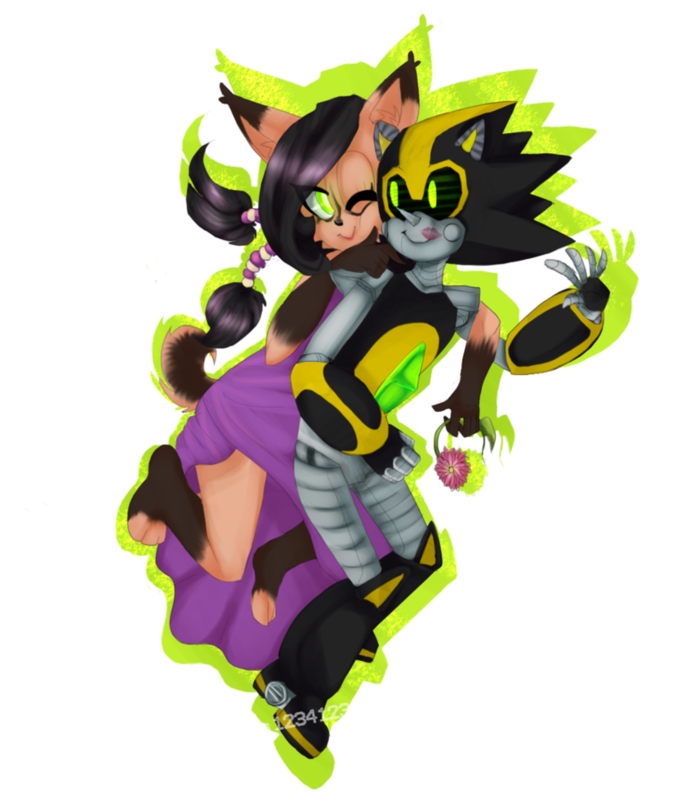 Here you will find some of the best ShardxNicole, Shard, or Nicole artwork there is to offer! Be sure to check out all of the very talented artists behind the pieces! The captains running this ship! We're always looking for affiliates! All you have to do is send us a request to affiliate with your group and we'll get back to you! Fan character groups, official characters groups, even other pairing groups! No need to ask or be shy, just send that request! Welcome to our page! We do hope you'll stay a while, participate in some of our fun chats if you so wish, and consider joining us! We'd love to have you! When do we find out who won the contest? Judging has finished and results will be posted soon! Sorry for the delay! I ADORE THIS COUPLE NOW! I'm so glad!! We all do too lol! To put it out there, I am so excited about this year's contest, so happy. I created a journal that's a guide for deviants that use DA on mobile devices, can I submit it? I don't see what it would have to do with this group, could you elaborate please? This may sound a bit domanding, but I also created a journal that is basically a written description of what makes mobians, mobians, since the group is technically a ship group, I want to know if I can submit that too. Well their are three general ways to access DA: via desktop, mobile, or app, I checked a few statistics and I found out that most people access social sites, like DA, via mobile devices, but since the mobile version of DA is more "fun" to navigate then the desktop one. So I thought it would be a good idea to try spread the word of how to use it, so that way people who don't know how to navigate using mobile can easily do things. Especially since you can't join groups, without invitation, for most groups in mobile mode without switching to desktop mode, the information to do this is in the guide. Plus, I love being part of this group, the atmosphere is great, the members are kind, and I just wanted to share some knowledge so that way the group doesn't lose out on some possible members. Thank you for the clarification. I am not the ultimate decision-maker here, but I don't think an informative journal would fit with the theme of the group. Your Mobians journal should be fine, though.